Margaret Segall D’Amico (left), Kara L. Mungovan and Rory A. Leraris. Photo by Laura Barisonzi. Eight days and 1.4 miles. That’s the gap in the 2016 storyline of breaking the highest, hardest glass ceiling. Just a stroll from Javits Center – where cracks were made on Nov. 8 – up 8th Avenue in New York to the headquarters of Cravath, an inspiring story played out last fall. On Nov. 16, 2016, the partners of America’s quintessential law firm admitted their new class. That in and of itself is historic and one for the record books. It followed the July selection of M&A standout Faiza Saeed as Cravath’s 16th presiding partner – a legendary position held by male forebears whose names define power in the law. And while leadership and partnership at one of America’s greatest law firms is not the presidency, it undeniably embodies an institutional ascendance in one of the nation’s most powerful professions that’s been a long time coming. Their collective accomplishment may have provided the moonshot a legal profession in search of parity needs. Two decades after women first comprised 50 percent of law school classes, a dreadfully low number – roughly 18 percent – of law firm equity partners are women. Tens of millions of dollars have been spent by firms to support advancement of women. Women are given important titles and management positions; committee meetings are held; and corporate counsel require women be on their teams. All with roughly the same marginal results. But here’s a funny thing about equality – whether you’re talking gender, ethnicity, LGBTQ, socioeconomic or religious: Runners will run, and brilliant competitors will rise if given a level playing field. But for most U.S. law firms in these mutinous times, the most level surface an attorney will walk is the plank. Not Cravath. Its traditional, almost-no-laterals, sturdy rotation training and lockstep compensation system is precisely the fair, egalitarian system that allowed D’Amico, Leraris and Mungovan to excel. Saeed started at the firm as a summer associate, in 1990, and joined the following year. The Walnut Creek, Calif.-born Saeed studied molecular biology at Berkeley, and considered law school after adding a second major, in economics. That quantitative background helped her excel at dealmaking. She became a partner in 1998, served as co-head of M&A and made her mark working on some of Cravath’s biggest deals for clients like Time Warner, Morgan Stanley and Northrop Grumman. She was elected presiding partner in mid-2016 and became the firm’s first female leader this year. 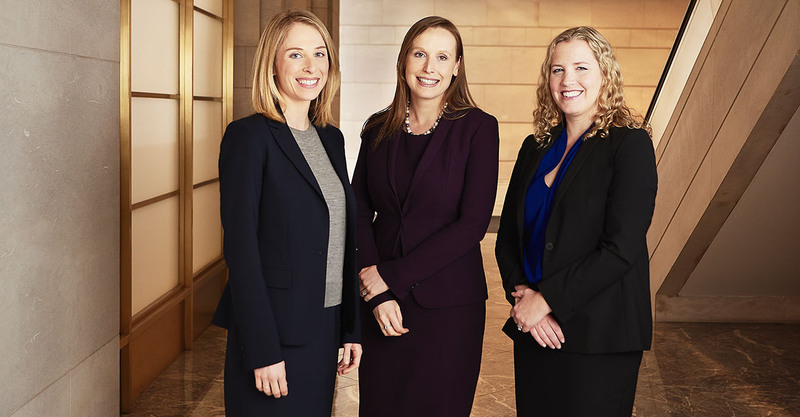 Cravath’s three new partners share many traits beyond their gender – they are all funny, expressive, thoughtful and determined. Other than stints before law school as paralegals, none have worked at any other firm. They cite male and female mentors in roughly equal measure. The three are entirely Cravath born and raised. That shared pursuit makes Cravath a bit unique, says Leraris. If they joined a shared path at Cravath, what brought them to their historic moment exemplifies the opportunity the law offers those with drive and an inclination for justice. They entered law school in 2005, alongside 48,132 other students – 22,582 of them women. She earned her undergraduate degree in History from Harvard in 2003, then moved to New York and worked for two years, first as a paralegal, and then in a graduate department at NYU to get a view into academic life, which seemed more solitary than what she was looking for. She enrolled at Harvard Law School, and ventured into on-campus recruiting. Leraris was raised in Northern Virginia just outside of Washington, D.C., and went to work as a legal assistant after earning her undergraduate degree in Psychology and Sociology from Amherst in 2003. No one in her family was a lawyer and she considered pursuing a graduate degree in Psychology. She decided to attend law school, enrolling at American University Washington College of Law, then transferring to the University of Chicago as a 2L. Before she took her first class at Chicago, she walked past Cravath’s sign-up sheet at on-campus interviews, saw an opening and walked in. “I didn’t have anything to do so I put my name down,” recalls Leraris. And there sat star litigation partner Sandra Goldstein. Leraris didn’t know much about the firm, other than it had a great reputation. She and Goldstein ended up talking all the way through the lunch break. Growing up in Canada, Mungovan thought she wanted to be a lawyer, but realized in high school and as a biochemistry major at Harvard College that she preferred math and science. After graduating from Harvard in 2004, she worked for a credit card consulting company for a year before enrolling in Harvard Law School, still not knowing if she wanted to practice. And then Mungovan walked into a tax class, and with the fortuity that D’Amico, Leraris and Mungovan all recognize in their career paths, Mungovan was hooked. She interviewed in the tax departments within a number of firms, but was particularly attracted to Cravath, where she summered in tax and corporate. When D’Amico, Leraris and Mungovan arrived as full-time associates in the autumn of 2008, they were part of a class of 106 associates. Despite the statistically long odds for partnership at any firm, Cravath associates have several built-in advantages. First, they are not expected to develop business, and are instead promoted based on the work they do during their rotations. Second, they do not have to worry about being bumped off by laterals, whom many firms hire because of their rainmaking or other expertise. And third – and perhaps most important – they rotate. The legendary Cravath rotation system is at the heart of the firm’s ability to endure as an ultra-elite world-class law firm with but one home office in New York and a London outpost, paying its attorneys on a lockstep compensation system in a cutthroat world. From the day they enter the doors of 825 8th Avenue, each attorney is assigned to a rotation in one of five practice groups (corporate; litigation; tax; executive compensation and benefits; trust and estates). They work with a partner or small group of partners within the department for a period of time, getting feedback, skills and an introduction to a variety of styles of excellence in lawyering. They then rotate to another group or specific partner within that department. The firm’s own description of the merits of its system may seem like a throwback. It explains that partnership decisions “are not based on the Firm’s immediate needs … but on each associate’s own proven record of accomplishment.” The Cravath partnership is based on “democratic and egalitarian principles,” and the one partner-one vote principle also applies to making new partners. To its 2017 partner class, the system resonated meritocracy. Partners leading rotations ensured the associates were getting mutually beneficial experience and that associates could choose what to do next. Leraris experienced four rotations, with illustrious litigation partners Evan Chesler (also firm Chairman), Rich Clary, Sandra Goldstein and Peter Barbur. Mungovan’s rotations were slightly different, as they were all within tax. Like D’Amico and Leraris, she found a variety of role models, each of whom offered their own style of lawyering excellence. She admired department head Steve Gordon’s technical proficiency, but also his ability to work through complicated issues with clients, especially in how he got a sense of the client’s goals and what was going on in the broader transaction. Lauren Angelilli’s career trajectory provided a relatable model for what Mungovan’s own career might look like, and her guidance and mentorship helped further shape Mungovan’s experience. Come last November, and after eight years of rotations, all three knew it was time. Leraris got the news, and rushed to D’Amico’s office a few doors down, where her new partner was on a conference call. “I just remember going over with my champagne glass because the associates came up to our floor to celebrate and ‘cheers’ing from behind Maggie’s desk,” says Leraris. Mungovan is on a different floor, but the news soon broke across the tax department as a crew of litigation associates crashed the area. If the Cravath partners of 2017 prove to be Big Law’s Billie Jean King moment, most would say it’s about time. Over the past decade, women have ascended to the heights of the legal profession and now hold 24.8 percent of Fortune 500 general counsel posts; 31.1 percent of law school dean jobs; and 27.1 percent of federal and state judiciary posts (as of 2012, a number that has increased; the general counsel and dean metrics are from 2016). The lagging sector has been Big Law, where just 18 percent of the nation’s 200 largest firms are led by women, who also hold 18 percent of the equity partner positions. As of 2016, according to the ABA Commission on Women in the Legal Profession, women comprised 36 percent of all lawyers. Yet there are positive developments, even within Big Law. Just two weeks after Cravath’s decision, Pepper Hamilton selected four new partners – all women. By the end of partnership announcements, 21 Big Law firms had named partnership classes that were 50 percent or more women. Among them were Wachtell Lipton and Williams & Connolly, two ultra-elite firms with more traditional structure, like Cravath. It’s always interesting to ask pioneers about the challenges they faced. And, true to form, Cravath’s new partners seem to have focused mostly on becoming excellent lawyers doing great work instead of any bumps along the way. The firm has a strong women’s initiative led by Julie North and Tatiana Lapushchik and numerous outstanding female partners who were role models. But as for whether they’ve seen the role of women in private practice change in their eight years, there is collective acknowledgment that they see more women at the table. “The sentiment was, ‘I can’t believe you asked that question.’ Even then it was not unusual for women to be at the table, and that is fortunately the only moment in my career where I can point to such an experience.” It’s rare for D’Amico, Leraris or Mungovan to be the only woman on a major case or transaction. And they are each occasionally on a team that’s all or mostly women. 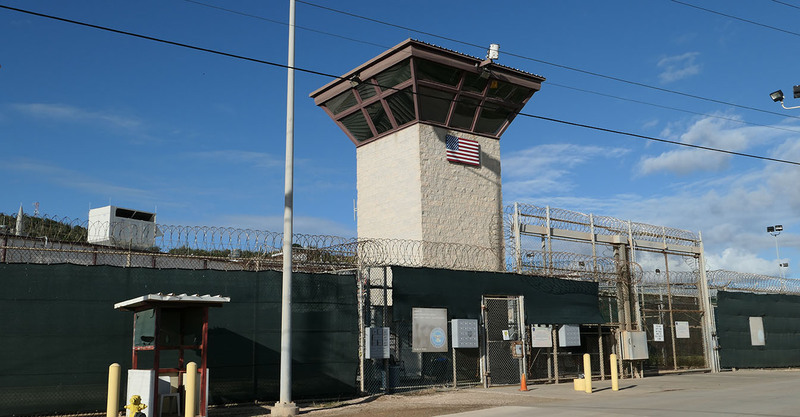 They all feel supported, not just as women, but also as people, by attorneys and staff. When D’Amico had her son the year before she made partner, lauded antitrust partner Christine Varney encouraged her that she was capable of being a good mom and a successful lawyer. Face time in the office was never the issue, her work was. “I felt I had people who knew me and supported me, who had invested in me and wanted me to continue to grow.” It didn’t matter when she needed to go home and put her son to bed, what mattered was the substance she offered when she got back online.